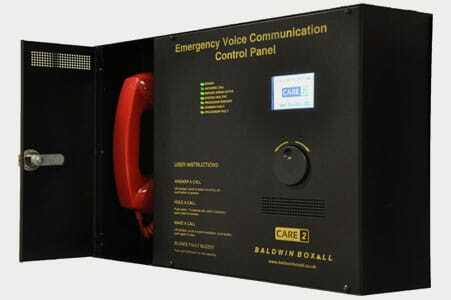 The system also benefits from the addition of roaming telephone handsets which are monitored when stored in the specially designed enclosure. The green reassurance LEDs in the enclosure provide an ‘at-a-glance’ confirmation that the handset is healthy. The jack sockets for the roaming telephones have a stainless steel finish and are currently available for UK and American style backboxes. Care2 has been developed to provide an alternative EVC option for installers and end-users. It has been designed to complement our popular (loop-wired) Omnicare system.